South Africa operates a system of exchange control over the flow of money into and out of South Africa. For every money transfer that is effected exchange control plays a role. Below we look at some of the processes and players in how foreign exchange control works. Authorised dealers – Their function is to assist the Financial Surveillance Department in administering exchange control. All applications to the Financial Surveillance Department have to be made through an authorised dealer. In other words: all currency transactions must go through authorised dealers, however and importantly you do not have to trade your currency through them. Currency Companies – Currency companies, such as Incompass, work with authorised dealers. They are able to get better rates and do not charge administration fees through a process of bulking. In practise this means that due to the large amount of trades that we transact we are able to provide more competitive rates of exchange as well as expertise due to specialising. Role of Incompass – as a currency company we deal with you the client, our remit is to provide you with the best advice, most competitive exchange rates and deal with issues such as the below, free of charge. Compliance – aside from the normal obligations to money laundering regulations, currency transfers need to be effected in accordance with the relevant Exchange Control legislation. There are different rules governing the transfer of money into South Africa and the transferring of money out of South Africa. Which rules and regulations are applicable to you depends on your residency status. In short, a failure to comply with these rules can result in taxation issues and problems with the repatriation of funds. It is imperative that a currency company with full knowledge of Exchange Control regulations is used and it is unlikely that experts outside of South Africa will have this knowledge. Money transferred to South Africa – both, South African based companies and ones based abroad, can effect a transfer to South Africa. There is little doubt hat either will be more cost effective than utilising a bank for your transfer and that the exchange rate received will be better. However, with currency companies abroad there is often a lack of knowledge around compliance issues as above and often the all important paper trail is not fully understood. In addition, in most cases there is no knowledge regarding the declaration of incoming funds and assets. It is essential when transferring money into South Africa that both of these elements are dealt with properly to avoid taxation and repatriation issues. In the instance of repatriating funds it is highly unlikely that any currency company that is not based in South Africa will be able to assist you. 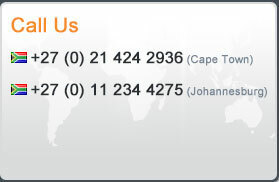 If you have a need to transfer money either in or out of South Africa, why not contact one of our expert team. Our advice is free of charge and non obligatory. We save you money and provide you with the full knowledge of how best to transfer your money.